While working on a crochet-pattern, I took a break and continued the cardboard/magazine necklaces. 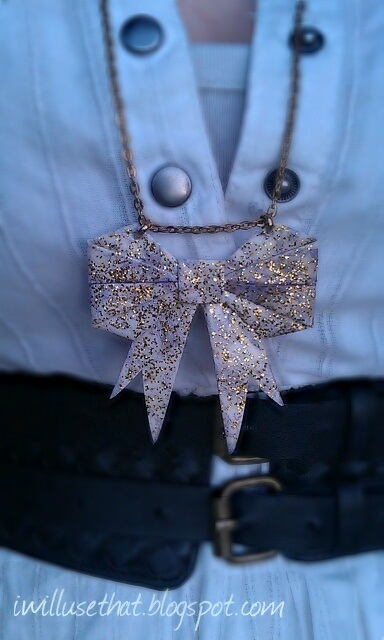 I also found these cute origami bows, and thought they'd make really cute glittery necklaces. If you want to learn how to make the bow, you can find the tutorial here. 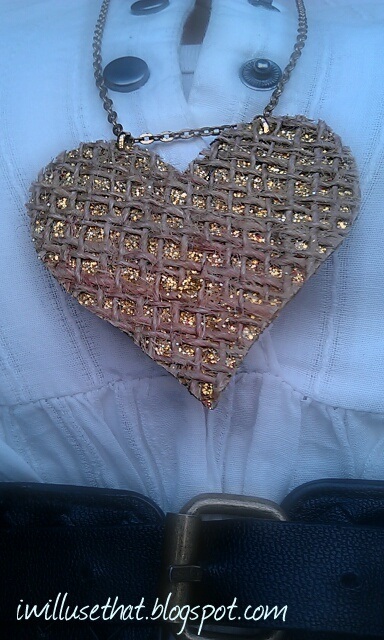 I added some jute to the heart (having that work out perfectly, the possibilities are endless! ).